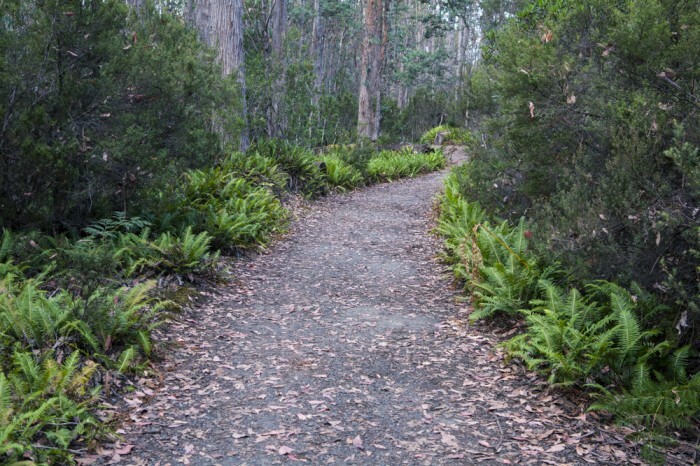 The Watersmeet Nature Trail is a short and easy 45 minute return walk from the Lake St Clair visitors centre. The trial passes vibrant banksias, buttongrass sedgeland and other signposted points of interest. 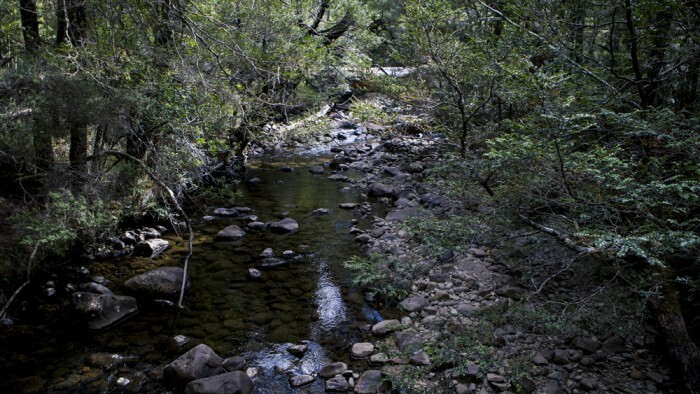 The trail is just over 3km return and ends where the Cuvier and Hugel rivers join before feeding into Lake St Clair. The water here is perfectly fine to drink. If wishing to continue further, the trail extends across the rivers to Platypus Bay another 30 minutes return from Watersmeet. 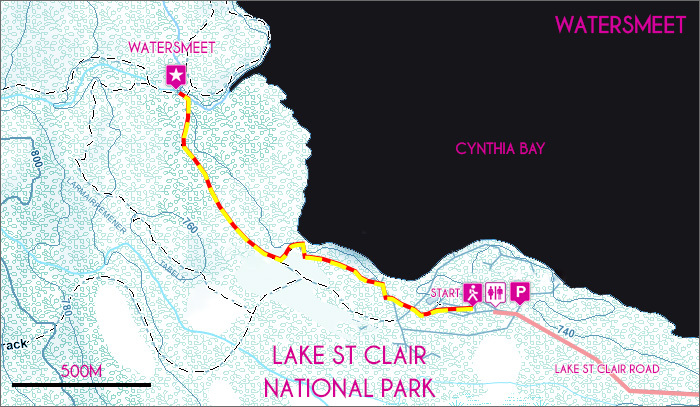 Return to the Lake St Clair visitors centre via the same route. View Google Map Directions From Hobart, head north on Brooker Avenue, taking the first exit just before the Bridgewater Bridge onto the Lyell Highway, continue for 140km to Derwent Bridge. Once at Derwent Bridge turn right onto Lake St Clair Rd. The Watersmeet Nature Trail begins just behind the main Parks and Wildlife Building.